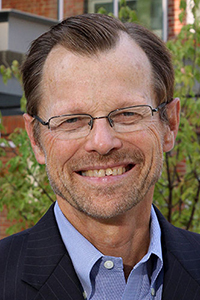 Tim Gleason was dean of the School of Journalism and Communication from 1997 to 2013. He then served as a special assistant to the provost. He is now teaching communication law, serving as the director of the Ancil Payne Award for Ethics in Journalism, and coordinating the School's Hall of Achievement. In 2016, he coordinated the SOJC’s 100th anniversary celebration and the publication of its 100-year history book. In addition, he is the university’s faculty athletics representative. Gleason won the SOJC’s Marshall Award for Innovative Teaching in 1990 and was honored as the Scripps Howard Journalism Administrator of the Year in 2013. He has published two books, several book chapters, and articles in law and history journals. Before going to graduate school, he was a photographer and reporter working in print media. His other interests include the relationship of ethical standards in journalism to legal protections for journalists.